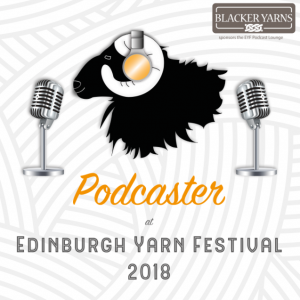 A fortnight ago I enjoyed a weekend of woolly goodness at the Edinburgh Yarn Festival. Culinarily speaking the weekend was less successful. Before Edinburgh restaurateurs take offence, I should stress that I had decided to go self-catering rather than rely on brasseries and restaurants in order to save my pounds for British grown yarns. I booked myself into a studio flat with a kitchen. I have no complaints about the facilities (except for the foul-smelling air fresheners). The kitchen had more equipment than I needed. If I had had the foresight to pack a little bottle of oil I would probably have been fine. And if drunken revellers had not delayed the train! As the police had to remove them at Newcastle station, our arrival into Edinburgh was delayed by an hour, which meant independent grocery stores had closed for the day and I had to resort to the supermarket. If my purchases at the yarn festival exemplified the wonderful diversity and quality of British produce, my supermarket groceries didn’t. Two dinners consisted of fishcakes with salad; another was pasta with salad. The meals weren’t offensive or revolting. They weren’t really anything at all. The fishcakes tasted of polystyrene and the pasta of soft cardboard. The garlic salsa I had bought to liven up the meals was moist and mildly acidic but nothing more than that… Each meal tasted of nothing in particular. Just hollow ballast that didn’t excite or satisfy. As I have cooked from scratch for as long as I can remember, I had forgotten how bland processed food tastes. Three days of flavourless fare was hardly fun but more depressingly, I realised that this is the norm for too many people. And how, with a little planning, effort and skill, it need not be. There is little magic or mystique to most of what Mr M and I eat. Like many people, I have a number of standby recipes that see me through busy days, with more exciting dishes or treats preserved for the weekend or special occasions. Most weeks include homemade bread, soups, stews, a pilaf or risotto, a salad or two, and several meals based on leftovers. And lots of vegetables. Very few of the dishes we prepare are difficult. And apart from a stew or roast on Sundays, very few require a lot of time in the oven. Cooking from scratch does involve a bit of planning and forethought, rather than actual hands-on time. I need 24-hours’ notice to make my baked beans or falafel so I can soak the pulses overnight. Ditto for bread. 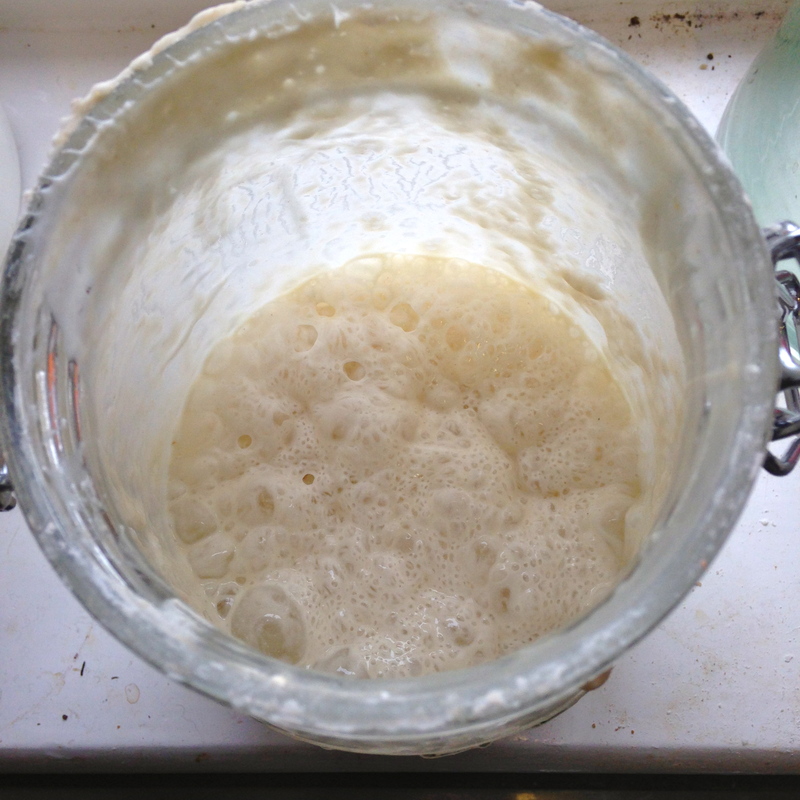 I need to feed Queen Maud (my sourdough leaven) for a couple of days to reinvigorate her, which takes me about three minutes per day. On the day of baking I get up ten minutes earlier so I can mix all ingredients together before leaving the dough to prove during working hours. Homemade pesto or tapenade take minutes to blitz up but beat the socks off shop-bought jars of fragrant paste. The effort lies in making sure I have a pot of fresh basil on the kitchen counter or olives in the fridge, pine kernels in the cupboard and a few spare minutes to grate the cheese. Similarly, refreshing homemade tzatziki is only an assembly job. Easy enough if we have garlic, mint and cucumber in the fridge or garden! It tastes best if made the night before but will still trumps any shop-bought tub if we only manage to rustle it up a couple of hours before dinner. Mayonnaise or aioli require a little more planning but are worth the effort, turning a simple egg salad or potatoes and crudités into a delicious meal. Both taste better if made at least four hours before serving. Furthermore, as they only require the yolks, a little planning means I needn’t waste the egg whites. 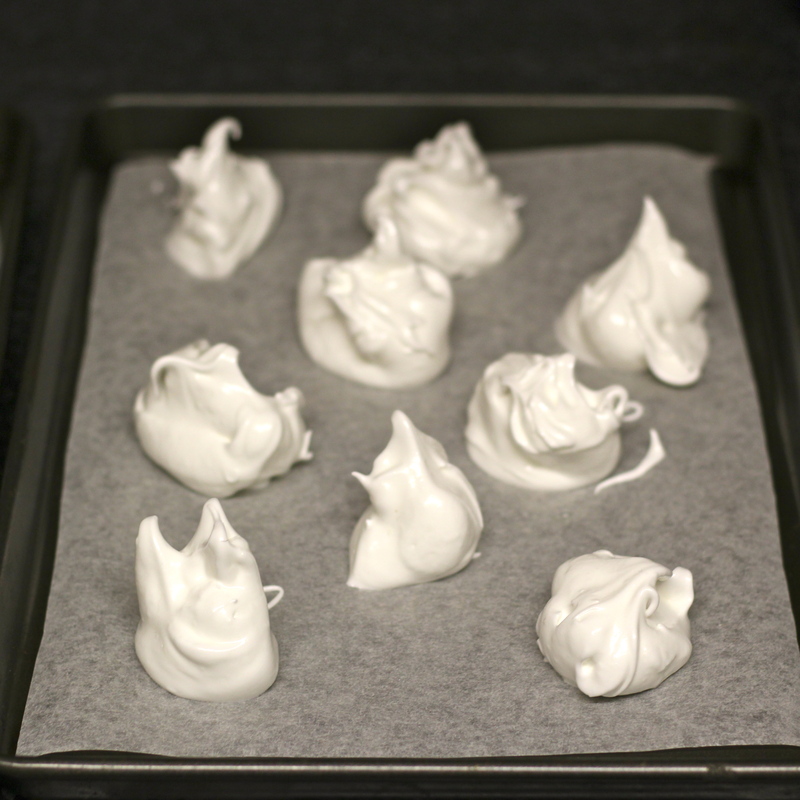 Whipped egg whites and castor sugar combine to make meringues – an easy dessert that looks impressive but requires next to no effort. Or by mixing egg whites, sugar and grated coconut I can rustle up an alternative to almond macaroons in minutes. Or, if I’m not in the mood for a sweet treat, with a little planning, I can schedule omelettes for breakfast or dinner the next day to use up the spare egg whites. There are many reasons for extolling the virtues of homemade cooking and of growing our own vegetables. For one, cutting out processed food slashes sugar and salt consumption. It also eliminates a lot of waste, including mounds of pointless plastic packaging. It is cheaper and results in more nutritious meals. Growing our own vegetables guarantees they are fresh and organic. It also means regular gentle exercise. But the main, and often overlooked reason, for growing and cooking our own food is flavour. It means we enjoy tasty meals that sustain us till the next one. Surely this alone is worth a little effort and planning! And worryingly there are whole generations now who don’t know what flavour is and if you offer real food with real flavours rather than overly fatty, sugar and salty fare they don’t like it. It is almost unfair for me to speak about this, though, because I find food prep so enjoyable 🙂 Shopping at the farmers’ market, the little cheese store, spending a morning with bread rising, an afternoon making stock — happiest times!! I’ve never tried to freeze egg whites. I’ll store that idea away. Mr M and I like cooking so it makes ignoring the siren’s call of “convenience” a lot easier! Queen Maud looks wonderful 🙂 I agree with everything you’ve written here. When I go out into the more mainstream world, I’m shocked at the food I find there. I took my daughter to a potluck belt ceremony at her martial arts school last year and couldn’t believe the food people brought! All processed carby, sugary junk. And this is in an affluent area, not a food desert, where people have no other choice but to eat the processed junk. I eat better at home and like you, don’t make anything terribly complicated but I use the best ingredients I can find, plan ahead and use everything up. Same here. Alas bland processed food is often not an economic necessity. Several generations have learnt that it is ‘convenient’. I want to work on busting that ‘convenience’ myth a little.